As a young person growing up in the United States, I felt a deep concern for what I perceived as a tendency to be in “the rat race,” with most everyone running after something unattainable and likely to run us over the cliff. This mad race of ever-increasing consumption, and with it, ever-increasing waste, seemed dangerous and destructive (well illustrated in this video). Greed and exploitation seem to be being valorized and given increasing moral value. With it came what felt like a degenerate idea of us as human beings, with our human value defined in terms of being ideal “producers” and “consumers.” But what was really the ideal was very unclear other than that it involved perpetual striving after something that seemed illusory (like a rat running in a wheel), thus creating and perpetuating endless seeking and dissatisfaction driven by a corrupt thirst for consumer power and consumption. The other thing that seemed clear was that this behavior and these dynamics were destructive—toxic to our environment and to us humans. These concerns led me to seek wisdom and understanding, and engendered a keenly felt need to bring forth that wisdom again into our modern world. 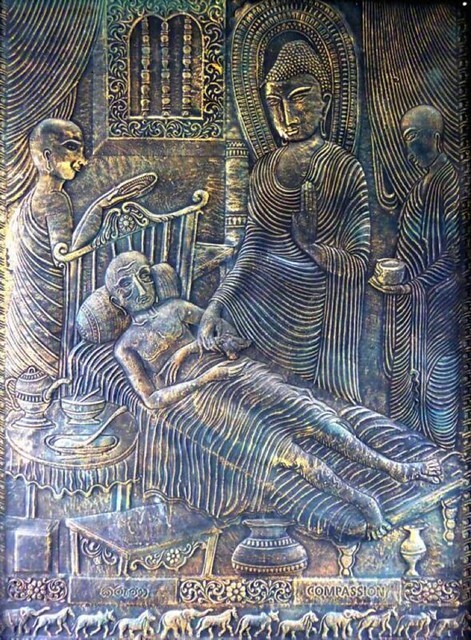 One of the key elements of the Buddha’s crucial insight and one of the great strengths of the Buddha’s teachings lies at the heart of the Dhamma. This is the teaching on conditional causation. Through the lens of such insight, we can see causes and conditions as they develop together over time and lead to effects, including the entirety of our current experience. The teaching on insight into conditional causation answers the big questions of “Why?” Where did such obsessive, compulsive, destructive behavior come from? Have human beings always been like this? And if not, what happened to us? It also has the potential to show us clearly what we can change and do differently that will lead to a different relationship, a different experience, and different effects. This is Wise Action, leading to a different experiential reality, not only in our mind, but also in our environment, in our relationships, and in our physical world. In the past several hundred years, powerful new technologies have combined with underlying philosophies and religious teachings in unprecedented ways, allowing for the enormous and rapid expansion of cultures that were motivated by, and have perpetuated, these underlying ideas of self, relationship, and world. Some of these religious teachings included the idea of a humanity, “cast out from the garden,” essentially sinful and broken. We were separated from the garden, and ideas of redemption were separated from our human actions and behavior, such that whatever we did we could still be saved, and that salvation was going to come from outside, from someone and somewhere else, from the heavens above, from supernatural grace. These ideas included a mandate translated and interpreted as a masculine divine right to subjugate the Earth in a justified quest and imperative for dominion over the planet and her creatures. The Earth, long known as Mother and the Mother Goddess was related to woman and all of what was to be subjugated, while man was related to the sky god Father. Salvation meant to leave this Earthly base, characterized as corrupt, depraved, base—the sky god thus toppling and gaining ascendancy over, dominating, and destroying the Earth Goddess. In some ideologies, the Earth even needed to be practically razed for the ascendency of man to the state of divine, ultimate salvation. How powerful are these underlying stories and ideas of selfhood and destiny! Of course, there are myriad variations to these myths, but also common threads. When seen clearly in context, they can illuminate knowledge and understanding of just how such violent, toxic gender theologies—continually feeding back into ideas of selfhood with a mandate or “manifest destiny” to spread and dominate, combined with powerful technological developments—have led to enormous environmental destruction. Such understanding is powerful. It begins to awaken us from our stupor to the recognition of the harm that such ideas and behaviors do to us, to the Earth, to the ground of our life; to the waters, air, and skies of this biosphere upon which all of our lives have arisen and depend. At their root, Buddhist karmic teachings are empowering and liberating. Recognizing conditional causation, they highlight the effective and transformational importance of our actions. There is a clear understanding that conscious and intentional actions as related to both self and others, as well as to the world at large, have effects; and that we are experiencing those effects and will experience those effects, whether for good or for ill. In light of the environmental impact of our individual and societal-level actions, I find it helpful to look carefully at the karma of waste. What does it mean, from a karmic perspective, to engage with our planet, with all its species and peoples, as short-term consumers creating enormous waste, largely unconcerned or oblivious to its effects? In light of karma and the teachings on conditional causation, what does it mean to become aware that we are taking myriad pristine resources and forms of life and turning them into garbage? What is the karma of this? And what is the reverse? 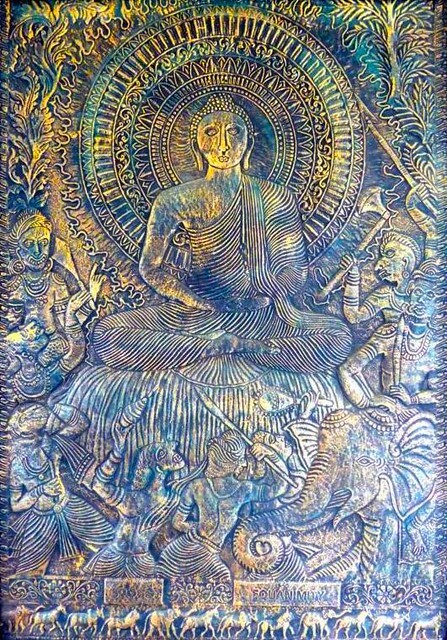 For the reverse, the turning back of negative and destructive cycles, is the manifest intention of the Buddhist teachings on conditional causation that lie at the heart of the ennobling teachings of the Four Noble Truths. To find the Buddha’s teachings related specifically to the topic of human waste, we can go to the first collection of the canonical three-fold Tipitaka, the Vinaya. The Buddha, when teaching, commonly conjoined the words Dhamma and Vinaya; in this case meaning the complete teaching and path of practice. In the Vinaya teachings we find monastic discipline, and in the monastic discipline we find very earthy and practical teachings on human waste. Not to throw our waste onto the green, not to pollute the soil, not to pollute the waters so that beings living in stream or downstream come to harm or feel offended. And then there is the teaching I’d like to focus on here. A teaching in which I find a clear vision of what we should be aiming for, in our hearts and minds. A most proper Buddhist environmental paradigm for our times: the Vinaya teaching on toileting. In this teaching, the Buddhist monk of example goes to the toilet. (Did you know that long ago, Buddhists were international groundbreakers in the spread of hygienic toileting practices?) The monk of the story uses the toilet and then departs. The one who enters the toilet afterwards is offended by the state in which the toilet was left. Surely all of us can relate to this! Of course, that leaves a very bad impression. 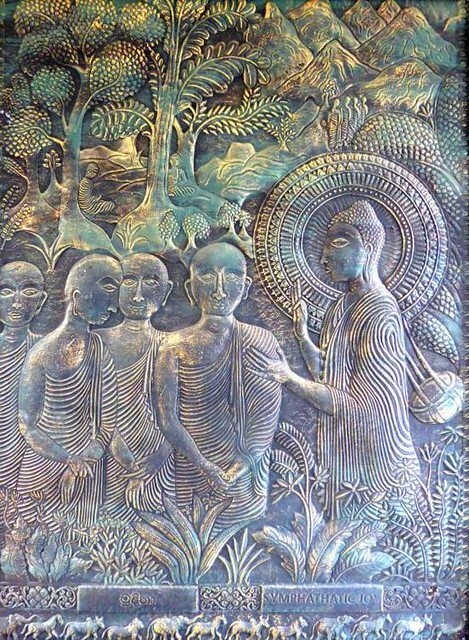 How could a mindful disciple of the Buddha behave so? So, the Vinaya teaching arises with regard to applied mindfulness in engaging with our human waste processes. How are disciples of the Buddha asked to leave the toilet? As clean as or cleaner than when they arrived. This teaching is then extended by the Vinaya-dhammā teachers to not only in-monastery toilets, but also those outside. And also to the use of other monastic dwellings and facilities. And, furthermore, to other dwellings and facilities used by disciples of the Buddha outside the monasteries. 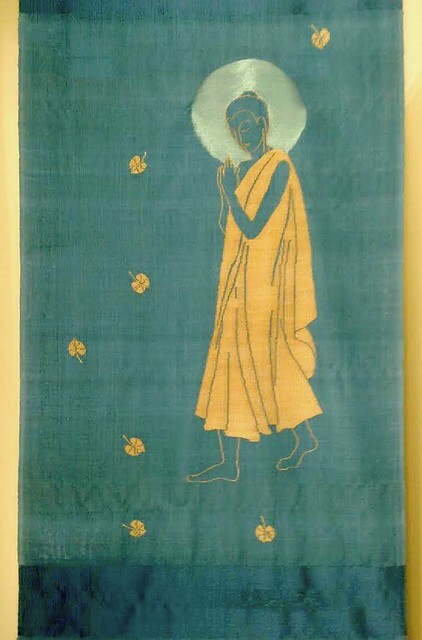 We can see here, in the Buddha’s signature style, the flushing out of a principle. 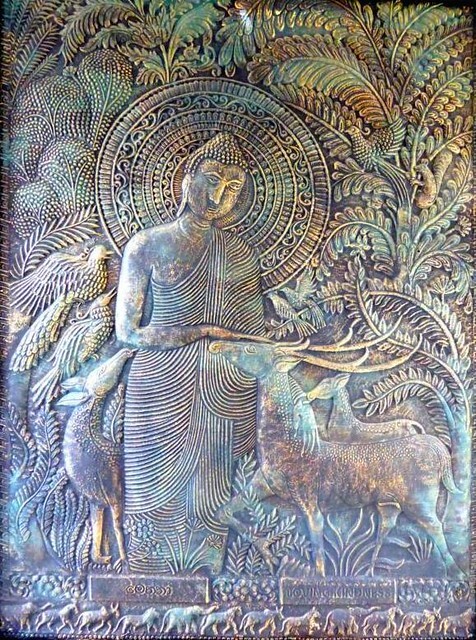 Through this example, when brought to light with awakened wisdom shining on it, the much larger, salient principle, pattern, and way of being the Buddha is guiding his disciples toward is illuminated. We have learned that for dedicated practitioners who would put the wisdom of the Buddha into practice at the level of the mind and heart, we should strive to end each day with our minds and hearts as clean as or cleaner than when we began the day. Not to mentally live our lives in the karmic pattern of the accumulation of unhealthy, unwholesome mental and emotional karmic waste, but to consciously turn back and reverse that process. So that each day we at least do not add anew, and that we further clean up the old remainder as much as we are able. Here we see this same basic pattern applied consciously and intentionally at the bodily, physical, worldly level, for our own health and welfare, and also that of others. Extending this teaching to the level of our minds and hearts, and also to the way we as individuals in society are physically living on our planet (to the Dharma as Buddhist culture), what does the intention of “as clean as or cleaner” look like in a human day? In a year, or a decade? How much can we turn around our negative and unwise habits at the personal, social, and global level toward what will be for our long-term benefit and happiness. Such action would be a truly great gift to ourselves, to each other, to humanity, and to all living beings. Then we truly walk the Buddha’s Way. We too awaken after the Awakened One, setting the Dhamma wheel into motion in body, speech, heart, and mind, together in our world. There is no better Buddha vāndana, no more sublime Bodhi puja. With thanks and gratitude to Buddhistdoor Global for featuring articles on this most important and timely topic, and to Li-ming Lee and friends of Singapore for their kind support of the time and space to write this article.